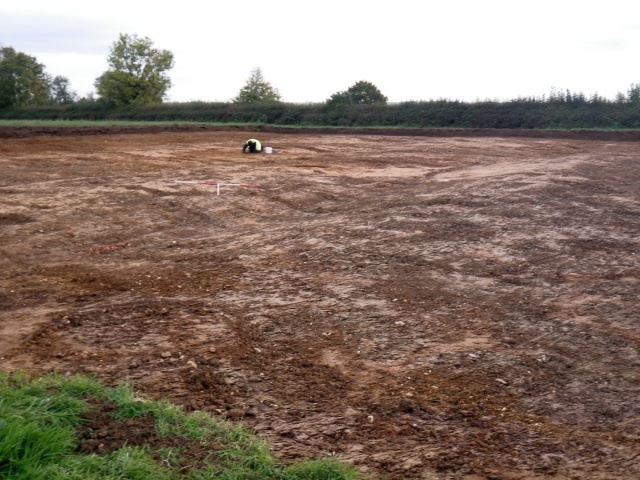 Wessex Archaeology undertook a scheme of evaluation and mitigation on land at Countesthorpe, Leicestershire. The investigations revealed the remains of three urns, all heavily truncated as a result of medieval and later agricultural land-uses. Two of the urns contained the cremated human remains of two individuals, one adult male and a sub-adult. A third urn was so badly truncated that only the base of the vessel survived. The vessels were all probably of Early Bronze Age date, in the Collared Urn tradition typically dating from c. 2200 – 1400 BC. No other features were identified and the absence of settlement evidence suggests the Site may have lain within a liminal area reserved for funerary and ritual activity. 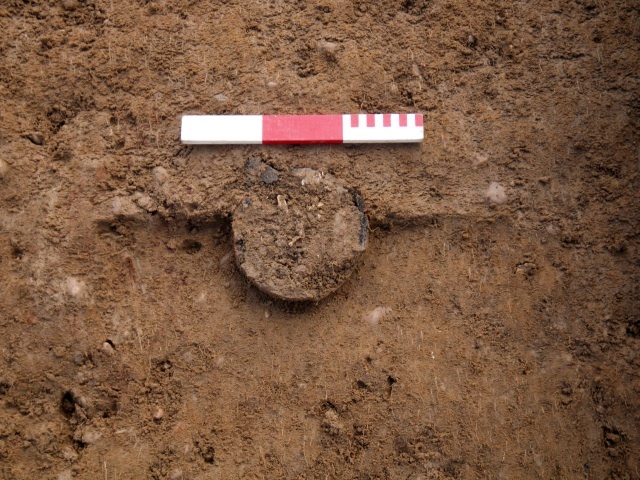 The only other archaeological feature to contain dateable artefactual material was a large oval pit that appeared to have originally contained a large upright timber post, which had probably decomposed in-situ. At the base of the post pit were worked flint tools, diagnostic of the late Mesolithic and early Neolithic period (c. 5000 – 3500 BC), and a large broken stone object worn smooth by grinding cereal grain or polishing activities. 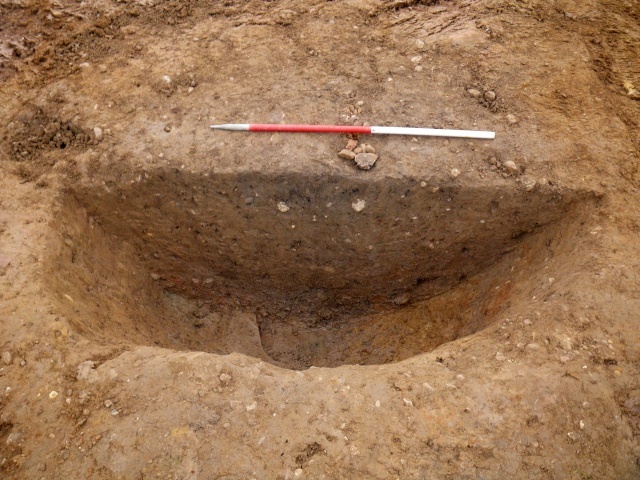 A series of undated features including several small discrete pits, a larger pit and a possible ditch appeared to form no regular pattern and their function cannot be determined from the excavated evidence.